In the annals of cinematic art - like any other art - very few directors leave an indelible mark; both, during their life time, when each movie they make has a definitive signature of the master; and more so after their lifetime, when their body of work continue to remain classics in their genre, and as a guide to future generations for study of technique, class and artistic excellence. Just as within reading few pages of a book, a sensitive reader can detect the literary style a Henry James or Dickens or Faulkner, or by the texture of colors and tapestry of form – the infallible hand a Van Gogh, or Rembrandt or Da Vinci; or by the first few movements of a symphony, the musical brilliance of a Beethoven, Mozart or Strauss; similarly, for any seasoned film lover, after first few frames of a murder mystery film, the hand of the master craftsman - the egg shaped, rotund and smirking face of Alfred Hitchcock - will immediately come to mind. Nobody can mistake his stamp. 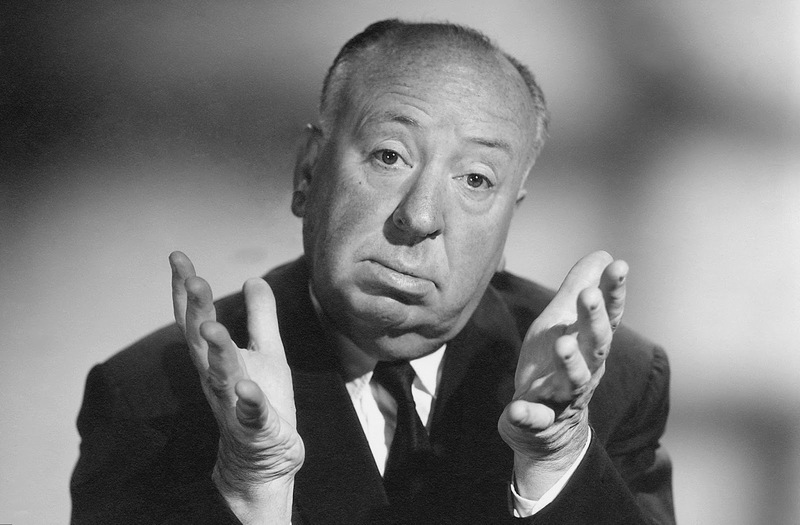 Over a career spanning 40 active years, Alfred Hitchcock made more than 50 films. Not all were commercially or critically successful. But there is no question that each one of them is emblematic of the art form he created and nurtured with great care and love. It is strange though Hitchcock never considered “Dial M for murder” as one of finest works. In his numerous interviews, he would lovingly cite “Pyscho”, “Rear window”, “Vertigo”, “The Birds”, “North by North west” and others, which no doubt are creations of great value, but, somehow, he would never volunteer to include Dial M in that list. When questioned, he would shrug it off “There isn’t much we can say about that one”. This is strange considering, it was and is still a chilling movie, acted and directed to perfection. It was the first three-dimensional movie to shot in history, arguably the best ever. 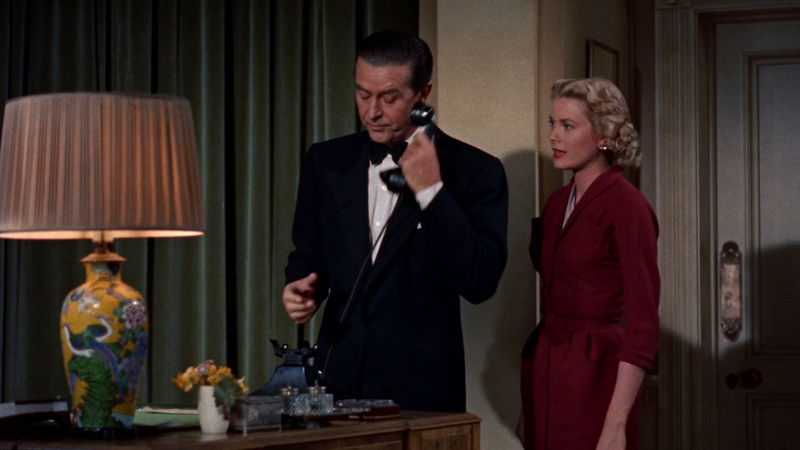 And to top it all, it had Grace Kelly acting for the first time in a Hitchcock movie, when she was at the height of her career. But, No, Hitchcock would never say a word about the film. To him, it remained nothing but a screen adaptation of a play that Premiered in BBC in 1952. He had contractual obligations with Warner’s brother to complete, before he could move on to Paramount for rest of his work; and Dial M was only final repayment of ethical debt to a production company for initially giving him the artistic leeway to establish his repertoire. What is amazing is the fact that even so effortless and less-than-serious work from the master, still remains unmatched in its style and brilliance, even though numerous remakes and rehashes of Dial M’s theme have been made over decades. None of them are a patch on the original. In "Dial M" The genius of Alfred Hitchcock is seen every frame and the effect is still one of perfection, wonder and unadulterated entertainment. The story line is simple. A husband past his athletic prime, wishes to murder his wife for the money she would leave him. Fortunately for him, she has an extra-marital affair, therefore he has a reason. To achieve this end, he concocts an elaborate murder plan, using his former school mate of dubious reputation. 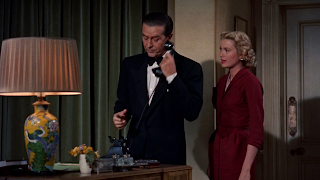 In one ten-minute-long scene in the main hall of their home, Tony Wendice (the husband), played immaculately played by Ray Milland, explains to his accomplice the modality of murdering his wife (Grace Kelly). He goes through every single detail with meticulous precision, he answers every objection or questions posed by the killer with rational and objective answers. It seems as though, there is no way this murder could go wrong. The deviant husband believes he has it all figured out to the last detail. Reluctantly, the killer agrees, not because he is convinced but because he has no choice, and the plan itself seemed simple, complete and perfect to reject. As audience, the plot is laid out for us in the first twenty minutes. We know what is going to happen. We also know that something in this plan is not right, and will fail. It is at that fulcrum of aesthetic expectation when we know the outcome, but unsure on how it would unfold - that Hitchcock holds our attention with breathtaking expertise. Everything happens in a single room, with just two brief frames shot away from it. In one of them, the Hitchcock’s face is briefly seen in a photograph at a college dinner. That is his signature style. He would appear in a scene in each of his films with an erect bearing and stoic look on his face. Without that solemn touch, a Hitchcockian film is incomplete. The rest of the movie breezes past towards a climax, which is more of less predictable; but the way Hitchcock orchestrates his camera, dialogues and performances to suit the meter of the Drama on which it based, leaves the audience with a sense of satisfaction, and distinct sadness at the outcome. Grace Kelly, in the very last scene, when she realizes her husband has been plotting this murder behind her back while dissimulating love and passion all along, gently lifts her beautiful face filled with grief and gives him one last tragic look of forgiveness, kindness and anger – all reflecting ever so swiftly in those deep blue eyes. In a way, Hitchcock was right. Dial M is not his best movie, not even close to his best. When compared to Pyscho or Birds or Vertigo (which critics consider his most complete movie), Dial M is just run of the mill stuff. But it is staggering to wonder at the prodigious genius of the man whose below average effort can be so very good. As an avid collector of Hitchcock productions, and having watched them many times over, I sometimes reflect on what could be the underlying motive of the man. What did he wish to project through his movies? Both in his own words, and through the words of his wonderful biographer François Truffaut, Alfred’s fear of enclosed spaces and punishment enforced by his disciplinarian father, and the love of his mother who comforted him with food (he attributed his paunch to that) stands out as seminal influences during his childhood. The feeling of fear, guilt and inner retribution seem to have struck young Alfred as something important in normal human life, and that it could lead to unintended behavior later on. When in guilt, man can do lot of things, including murder. And in equal measure, to escape guilt, he would go to any length to hide, overcome or sublimate that feeling. In all his films, Hitchcock’s protagonists are victims of personal, social or psychological guilt. It keeps gnawing at their hearts, and they eventually commit a crime, or become a party or witness to it. This is becoming yet another longish essay. Before I conclude, it is worth noting that Hitchcock movies are timeless. They are not just about murder for the sake of blood and gore. They are stories that capture the darkness of human heart which lurks in all of us, either prominently or subtly. That is why his films leave a deep impact. They stir something uncomfortable in us, and we quickly want to rationalize it away as “great movie” or “beautiful acting or direction”. The real reason why we like them is because it reflects a part of us hidden away from outward appearances. In “Pyscho”, curiously, we begin to sympathize with Norman bates, though he is perverse and murderous and insane as textbooks and social scientists will have us believe. Yet, at the end of the film, as he sits in his solitary cell, talking to himself, and his illusions, a profound sympathy emerges in our breast. The slashing of young girl in the shower pales in comparison to the state of this young man languishing in asylum. That is the genius of Alfred Hitchcock - to use the medium of cinema as a mirror to our darker or troubled nature. It is ironical though, that Hitchcock never won an Academy award, though he was nominated five times. In 1967, finally, the Academy chose to honor him with Lifetime achievement award. And characteristic of the man, when his name was announced, he walked up to the stage with studied motion, accepted the award with straight face, adjusted the mike for couple of minutes, and said “Thank you very much indeed...” It was the shortest acceptance speech in Academy’s history for an award as big and long deserving as this.